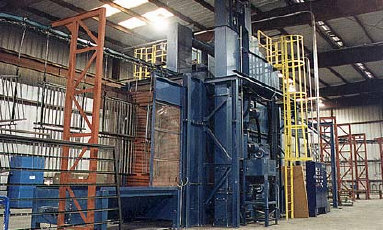 Summit Steel Fabricators, Inc. has been in the steel fabrication industry for over two decades. Whether it's a decorative gate or a 40 foot steel beam, Summit Steel can design, fabricate, and install just about any steel product imaginable. Summit Steel offers the option of powder coating its stairs and rails which provides extra protection while adding a beautiful finish. Powder coating helps steel products resist abrasion, corrosion and fading for an extended period over regular painted steel. 2010 Summit Steel Fabricators, Inc. All rights reserved. No matter the size of the project, Summit Steel Fabricators, Inc., strives to provide the highest quality products and services to all of our customers.